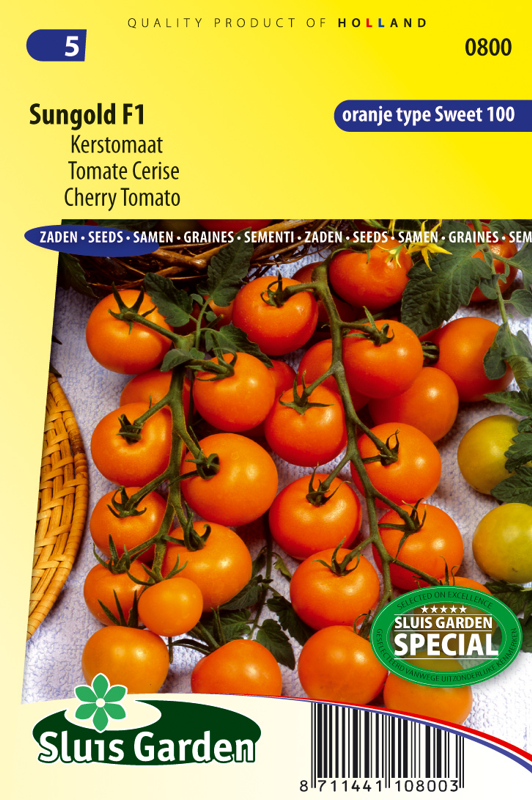 Long bunches with delicious red cherry-sized tomatoes. Tasty as a snack or in salads. 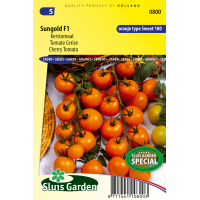 A hybrid for cultivation in greenhouses and outdoors. Can also be grown in large pots. Sow in seed trays and as soon as they can be handled, prick out in pots or soil blocks. Later transplant to a greenhouse or outside to a warm, sheltered spot. After approximately 4 fruit bunches pinch out the top of the plant. Always remove the offshoots in the axils of the leaves (nip out). After some time fertilize with tomato feed.